Hey guys!! So today I wanted to bring to you one of my favorite clothing websites. Rebdolls is a great place to go for some really good looks. Not only do they offer fashion forward clothing, they also have a wide variety of sizes in every piece ranging from a small to a 5X. Some of the items that Rebdolls offer would include body-con dresses, two piece ensembles, stunning swimsuits and more. From time to time, they also collaborate with well known bloggers such as Chastity Garner of GarnerStyle.com. I’ve purchased some items myself from the website, so let me show you what I got! I loved this army green and black stripped tank dress as soon as a saw it, ordering it in time for a trip to Vegas this pass fall. Not only did it work for the trip but I found that I could use it throughout the year. Pairing it with this neutral blazer worked really well giving it a great power look. 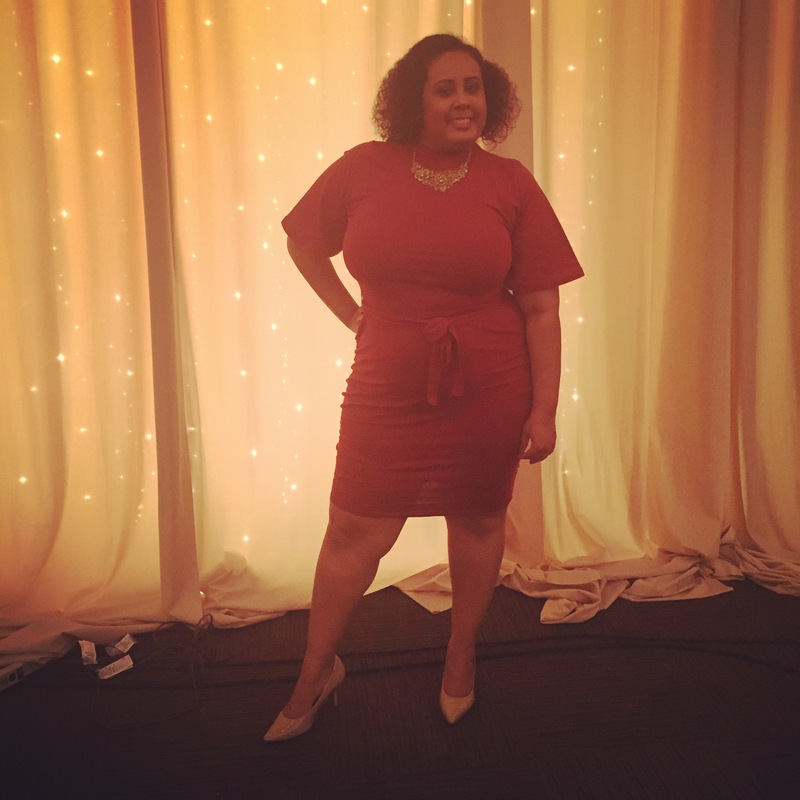 Recently, I attended a wedding and I thought the perfect dress to wear was my Rebdolls’ ‘Boss Lady’ midi dress. The dress included a high neck, flutter sleeves, a tie at the waist and a great color. I mean, red for romance, right? The dress is still being offered and the price has been marked down, so be sure to grab one for yourself. There are so many other great looks being offered for any occasion at Rebdolls. I’m sure that I’ll be making more purchases myself in the future, especially for my trip to Miami in May. Seriously, check out their new swimsuits for the season, I know I will. Well that’s all for now. See you next time. Deuces!! Cute – thanks for the new website to check out!